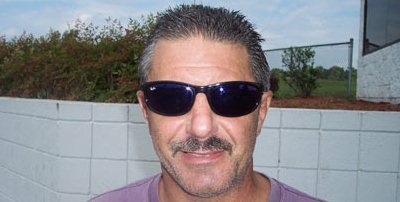 Cycledrag.com is saddened to report the passing of talented, colorful and memorable Nitro Harley legend Larry “Drums” Brancaccio. 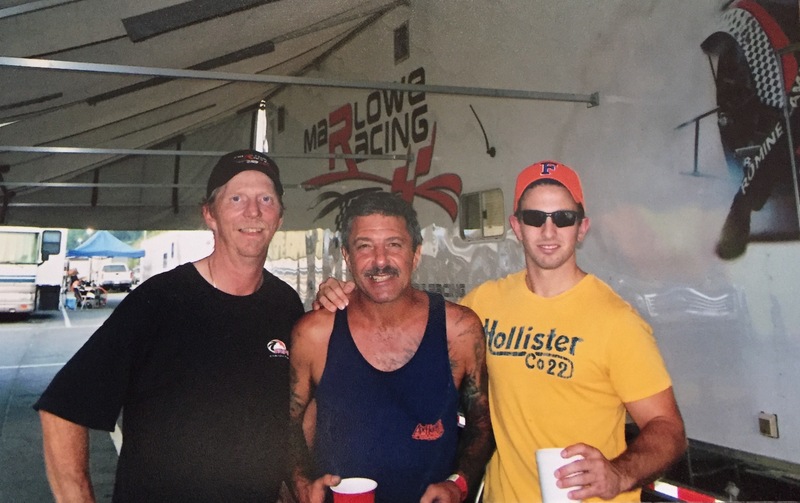 According to friends, the 58-year old former dragbike racing champion suffered a heart attack on October 25. The Nutley N.J.-native spent most of his life amassing victories on nitromethane-fed V-twins. Astoundingly he collected more than eighth national championships and 14 overall titles. He will be remembered as one of the quickest ever. 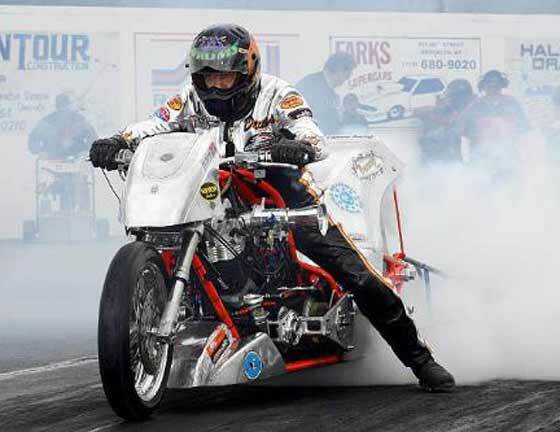 Along with with his longtime crew chief Don “DJ” Johnson in 2010, Brancaccio posted a 6.26 at 226 mph. Drums bravely fought back and recovered from an accident where he ran off the end of the drag strip at Cordova International Raceway in Cordova, Ill., May 29, 2015. “We do crazy work and we like to live on the edge. Everything is a rush and there’s nothing like that. It’s like being shot out of a canon,” Brancaccio once said about the sport he loved. More than anything, Drums will be remembered for his vibrant, energetic, colorful personality. Drums was one of kind. He will be missed dearly. 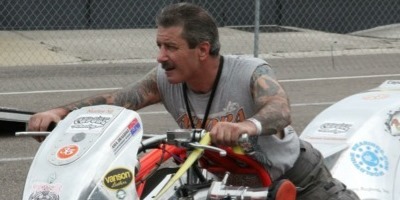 larry was my 1st inspiration to fly down the 1/4 mile on a motorcycle! 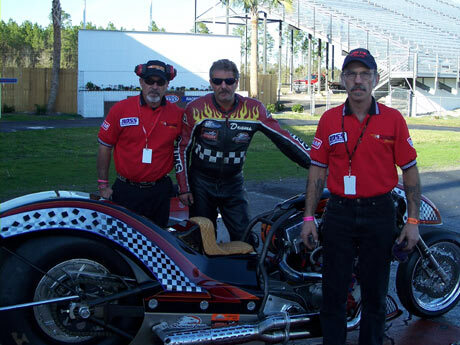 On his Bammer Racing Pro Dragster with signature cockroach lid. Will put taps on my boots in his memory! R.I.P. my dear friend Drums! Watched your career and truly loved all the good times and your friendship through the years. You made me laugh and cry, love you and miss you. God Bless you. My prayers for your family and friends. Larry had a heart of gold! We will miss you brother! was great to watch & know ,rip my friend. 2 friends of mine and I used to ride are bikes once a year from Ontario Canada to an AHDRA event in the states Ohio Kansas Tennessee Vegas etc. To watch the great Drums,Sat in his trailer with him in Bristol talking and having a smoke.One of the best days of my life.Loved and will be missed.RIP Drums.